IN the summer of 2000 Prof. Norman Finkelstein (at that time Professor of political theory, City University of New York, Hunter College) published a book, The Holocaust Industry, which criticised the financial motives of those behind the then current exaggerated publicity campaign promoting Holocaust history and the use to which it was being put to extort money from a variety of wealthy victims including Swiss banks, European governments, factories, and other groups. The world's Jewish organisations started a concerted attempt to destroy Finkelstein's academic reputation and legitimacy, and to pressure publishers not to print the book (even though they had signed contracts to do so), and newspaper, television and othere media outlets not to provide any publicity in the form of reviews or news stories. This is a small sample of the worldwide media coverage of the debate, which we provide entirely independently of Prof. Finkelstein. Greg Goldin in L A Weekly: "Finkelstein and the packaging of the Holocaust"
Richard Crompton in Korea Herald: "Finkelstein and the Holocaust "
Ostsee Zeitung: Deutsche Historiker uneinig über Debatte zur Holocaust-Industrie"
N Y Post: Jewish writer condemned as a "traitor"
Basler Zeitung: Ist Kritik an «Auschwitz-Geschäftemacherei» statthaft? Who really Gets the Holocaust Restitution funds? Marcia Pally (Süddeutsche Zeitung, Aug 22, 2000): Tanz mit der Besonderheit - Wer fürchtet Norman Finkelstein? 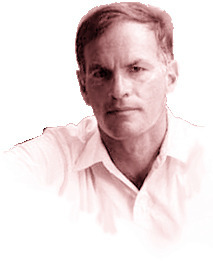 Norman Finkelstein: Israel is a Satanic state: "And then these satanic narcissistic people throw their hands up in the air and ask, "Why doesn't anybody love us? Why don't our neighbors want us to be here?" David Klein: Why is Norman Finkelstein not Allowed to Teach? Gabriel Schoenfeld: "Holocaust Reparations -- A Growing Scandal," in Commentary Magazine, Sept. 2000 | and German translation in Süddeutsche Zeitung, Sept.13, 2000: "Der Skandal um die Holocaust-Entschädigungen wird immer größer"